Seyfarth Synopsis: The U.S. Department of Health and Human Services (HHS), Office of the Surgeon General, has just released a Report on "Facing Addiction in America: The Surgeon General's Spotlight on Opioids" (Washington, DC: HHS, September 2018). The “evidence-based public health approach” described in the Report offers a way forward. 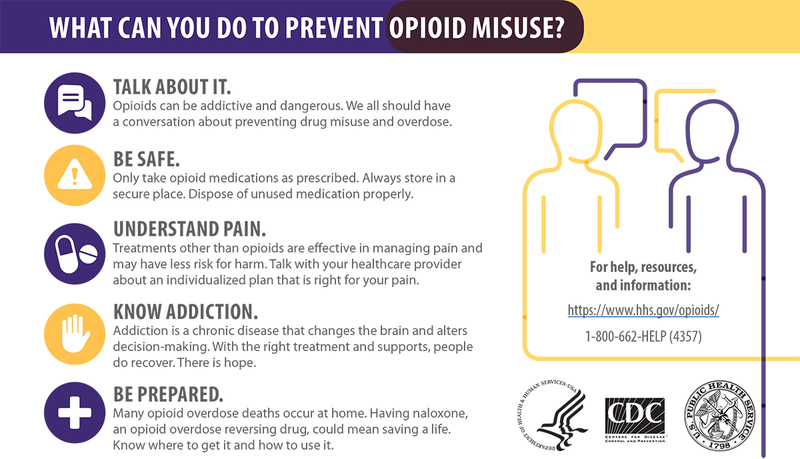 Its goal is to reduce the impact of the opioid crisis by addressing factors that contribute to opioid misuse and its consequences. The Report offers that by adopting this approach—which seeks to improve the health, safety, and well-being of the entire population—the nation will have an opportunity to take effective steps to prevent and treat opioid misuse and opioid use disorder and reduce opioid overdose. The evidence based public health approach to the opioid crisis complements the broader healthcare ecosystem’s focus on social determinants of health and consumers’ behavioral conditions, which are widely viewed as critical to improving individual and national health outcomes over the long term. • Address substance use-related health issues with the same sensitivity and care as any other chronic health condition. • Support high-quality care for substance use disorders. •Follow the gold standard for opioid addiction treatment. • Follow the CDC Guideline for Prescribing Opioids for Chronic Pain. • When opioids are prescribed, assess for behavioral health risk factors to help inform treatment decisions, and collaborate with mental health providers. • Check the PDMP before prescribing opioids. • Refer patients to opioid treatment providers when necessary. • Become qualified to prescribe buprenorphine for the treatment of opioid use disorder. • Support youth substance use prevention. • Continue to collaborate with the federal initiative to reduce prescription opioid-and heroin-related overdose, death, and dependence. • Reduce work-related injury risks and other working conditions that may increase the risk for substance misuse. • Offer education, support and treatment benefits for workers affected by the opioid crisis. TALK ABOUT IT: Opioids can be addictive and dangerous. We all should have a conversation about preventing drug misuse and overdose. BE SAFE: Only take opioid medications as prescribed. Always store in a secure place. Dispose of unused medication properly. UNDERSTAND PAIN: Treatments other than opioids are effective in managing pain and may have less risk for harm. Talk with your healthcare provider about an individualized plan that is right for your pain. KNOW ADDICTION: Addiction is a chronic disease that changes the brain and alters decision-making. With the right treatment and supports, people do recover. There is hope. BE PREPARED: Many opioid overdose deaths occur at home. Having naloxone, an opioid overdose reversing drug, could mean saving a life. Know where to get it and how to use it. HHS also provides help resources and information and a hotline (1-800-662-HELP (4357).